Oh, wait. Never mind. I still have three Pixie® Grapes I bought last week to plant somewhere. Well, it was close to a miracle, having everything planted. I know more than one gardener who is hiding a bunch of half-flats and pots of plants they bought and never planted. I won't name names. You all know who you are. Buying plants and not planting them out is like buying clothes and never wearing them. That blouse or shirt or whatever just hangs in the closet waiting for its turn, which never comes. Then one day you take it to Goodwill. Or maybe it's like buying ice cream in a new flavor and never eating it. Never mind. Bad example. No one buys ice cream and never eats it. With plants you never plant, they wait and wait, and get all root bound in their pots and struggle along. Then one day you take them to the compost pile. Anyway, it was almost a miracle, having everything planted this spring and it is only a week into June. And if I plant out those Pixie® Grapes soon, it might still be a miracle. Sometimes it's a miracle that anything gets done. On the other hand, gardens are full of real Miracles. Have you sowed the seeds or planted the plants? What I meant to say is if your plants have started blooming or not? 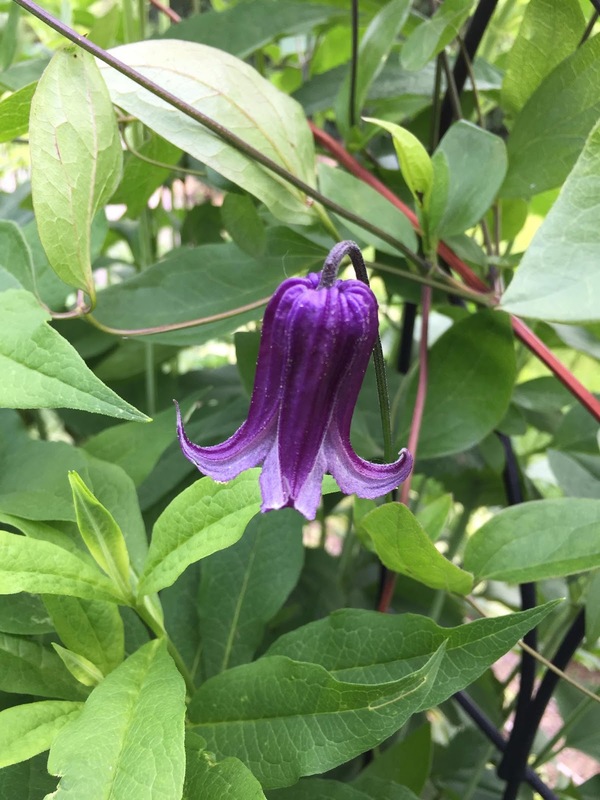 I am ready to grow some clematis. Good luck with your garden! So true, Carol. I think we (or at least I) go crazy each spring and enter acquisition mode, remaining in that gear and overlooking the results of having to plant it all. "This might qualify as a gardening miracle "